Is the PA worth keeping? 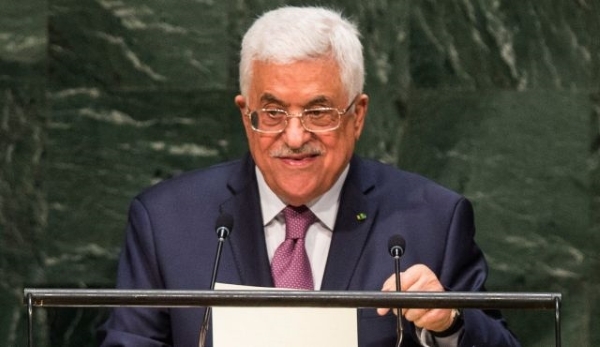 Mahmoud Abbas made a vile speech to the UN yesterday. To “long applause,” the head of the Palestinian Authority (PA), the PLO and Fatah accused Israel of aggression, apartheid, racism, colonialism, terrorism, war crimes and genocide. He accused Israel of threatening the al-Aqsa mosque and “attempting to give a religious nature to the conflict.” He found it “inconceivable” that anyone could place Israel’s right to defend itself above “thousands of [Palestinian] victims (probably a reference to US State Department statements during the Gaza war). Israeli UN delegates were saved from the need to walk out by the Rosh Hashana holiday. Confronting the terrorism that plagues our region by groups – such as “ISIL” and others that have no basis whatsoever in the tolerant Islamic religion or with humanity and are committing brutal and heinous atrocities – requires much more than military confrontation. … It requires, in this context and as a priority, bringing an end to the Israeli occupation of our country, which constitutes in its practices and perpetuation, an abhorrent form of state terrorism and a breeding ground for incitement, tension and hatred. Palestine refuses to have the right to freedom of her people, who are subjected to the terrorism by the racist occupying Power and its settlers, remain hostage to Israel’s security conditions. Abbas proposes to avoid all of the Israeli objections by having the UN Security Council pass a resolution “ending the Israeli occupation” and setting a timetable for withdrawal and a “solution” to the refugee problem. Negotiations between Israel and the Palestinians would then deal only with technical issues, like demarcation of borders, expulsion of Jews from ‘Palestine’, and immigration of Arab ‘refugees’ into Israel. Such a resolution passed by the Security Council could actually have teeth in the form of economic or even military sanctions against Israel if it refused to cooperate. Even if an initial resolution were passed without any kind of UN sanctions, it could open the door for individual nations to apply their own. In the past, the US has indicated that it would veto such a resolution. But the growing anger and frustration of anti-Israel President Barack Obama about the lack of ‘progress’ in forcing a withdrawal from the territories could manifest itself in a US abstention, or at least massive pressure for concrete Israeli concessions in return for a ‘no’ vote. Practically speaking, Abbas is nobody. He and the PLO have little support among Palestinian Arabs, who see Hamas as a more effective way of ‘resisting occupation’. The IDF protects him from Hamas, and the US and Europeans support him financially. The primary reason that Israel, which was willing to give up territory in return for peace for so many years, was unable to do so was because Abbas did not have the ability to deliver on any deal. Israel has supported the PA, led by Arafat and Abbas, since 1993 because it is assumed that it is better than the alternatives. But is it? What would happen if Israel withdrew IDF support from the PA and let it fall? Does Israel gain more in security from the existence of the PA than it gives up diplomatically? I don’t think the answer is obvious. This entry was posted in Israel and Palestinian Arabs, The UN. Bookmark the permalink. One Response to Is the PA worth keeping? I wish you had spelled out possible alternatives. There seems to be Fatah and Hamas and perhaps anarchy. Hamas is the worst and Fatah is no good at all. I don’t think Israel wants to be once again the civil administrator of the Arab population in their major population centers in Judea and Samaria. Time and again it seems Israel is faced with choices between the absolutely horrible and the very bad. Abbas is the very bad, but what exactly is the alternative?